Social investment: old wine in new bottles? The European social model played a key role in shaping European societies and preventing poverty in the post-war years. In some countries, though, it may have exacerbated the economic crisis caused by labour market rigidities, while in others, its effectiveness is being curtailed by limitations on government expenditure. The obvious solution is to obtain more bang for every buck spent on preventing poverty, while at the same time promoting rather than curtailing economic growth. The concept of social investment may be the way forward. This approach reconciles the pressures between dwindling economic growth and falling birth rates. It presents policies aiming to strengthen people’s skills and abilities, so that they can move from dependence on benefits to self-reliance by working and participating in social life. The payment of benefits to a person without any quid pro quid to society may actually make poverty worse. It may lead people to become dependent on benefits, and discourage them from seeking to provide for themselves. Society deserves a return on its expenditure. The least it can expect is that persons benefiting would improve their skills and outlook towards work and become more active contributors to society. The emphasis on a rate of return to expenditure on social services leads to the direct conclusion that such expenditure should primarily serve as an investment in the human capital of the economy. This approach has rapidly entered mainstream policy formation at the EU level. The European Commission has called on member states to prioritise social investment by adopting a ‘social investment package’ throughout life. The package provides guidance to help reach the Europe 2020 targets for smart, sustainable and inclusive growth. It also provides guidance on how countries can address country specific recom­mendations drawn up by the Commission, related to the labour mar­ket, education, pensions, health care, education and poverty eradication as well as the efficient use of relevant EU funds, notably the European Social Fund. What do these initiatives mean in practice? An important example is the enormous social cost of people failing early in life through early school leaving, teenage pregnancies, delinquency among youths and youth unemployment. 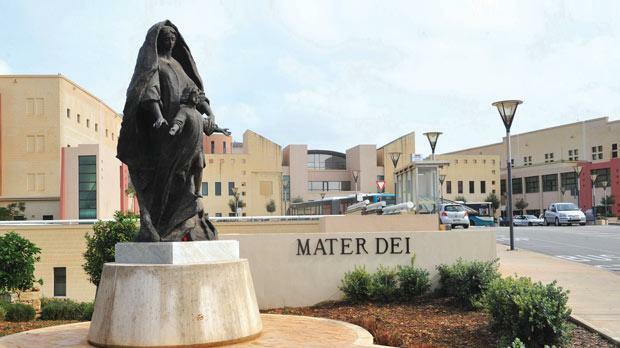 In 2013, two out of 10 young persons aged between 18 and 24 years in Malta were classified as early school leavers while 5 per cent of births in 2012 were to teenage mothers. The problem is that often corrective measures attempted later in life such as adult education are not only costlier but also less effective. Social investment interventions continue along the entire life-course, including affordable child­care on the one end to ensuring a longer working life with the possibility for flexibility in the later years close to retirement. Child-centred investment provides an important benefit to society as it prevents early exit from education for youths, most notably for those coming from poor and low educated families to perform in a knowledge economy. Lifelong learning also provides an important benefit to society as adults can improve their skills to access gainful employment. We have examples of policies inspired by social investment in Malta. Tax incentives for more women to enter the labour market and the provision of affordable childcare are clear examples. Other examples include the facility for older workers to remain in employment after retirement without losing their pension benefits. The recently published National Employment Policy focuses on the provision of free childcare to working parents, after-school hours care as well as the tapering of social benefits. This is an important initiative, entailing that persons would not lose all benefits upon finding a job, but that this would happen gradually, thereby making work pay better for them. Yet more efforts are warranted, starting from the provision of more effective lifelong learning to ensuring that health care and long-term care systems are accessible, sustainable and of high-quality. A clear focus on social investment may also represent an effective manner to use EU funds, especially as the mechanisms subject to State Aid rules become more binding. Above all, a holistic approach to policies relating to education, health, poverty prevention and labour market development is needed to ensure that Malta reaps the best benefits from social investment initiatives.